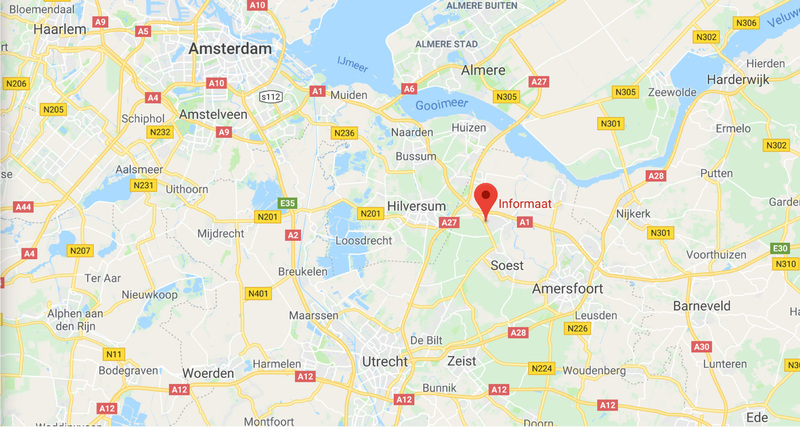 Informaat is visible from the Amsterdamsestraatweg in Baarn. You recognize our office building by the red color bricks and the letterboards on the lawn. At our building, turn into the Jacob van Lenneplaan and drive straight onto our premises. You can park right in front of our office. Leaving the station turn left onto Gerrit van der Veenlaan. Keep following the street along the railway and turn right onto Amsterdamsestraatweg. Follow the road until you reacht the corner of Jacob van Lenneplaan and Amsterdamsestraatweg. Our office is the building on the corner (number 57) at your right-hand side.